Bear with me this week… I’m just recovering from my first cold in about eight years, which explains the lack of posts in recent days. First… the big pile of cotton hankies that belonged to my dad. Mum gave them to me when he died and they have been of enormous value this last few days. Just a few clean ones left! Second… the beginning of the courgette glut. I know I’ll be sick of them by the autumn, but it’s lovely at the moment to have such an abundance… and to know that the financial investment in seeds and compost has probably already paid off, not to mention the absence of packaging. Just five, and I’m trying to harvest them before they get too big! Third… locally produced tonic water. I spotted these drinks mixers the other day and couldn’t resist: glass bottles and no artificial sweeteners. Hurrah for Llanllyr Source. First, we are suddenly making up for the poor electricity generation last month… the solar panels are working at peak efficiency, especially with the wind to cool them down a little. PHOTOSYNTHESIS! All the well established plants are really building up their resources… potatoes and rhubarb, raspberries and blueberries, redcurrants and sage, chives and willow… and we’re chucking the washing up water on them in the evening to help them along. All the washing is drying in double-quick time… and it smells so fresh when it comes in off the line. 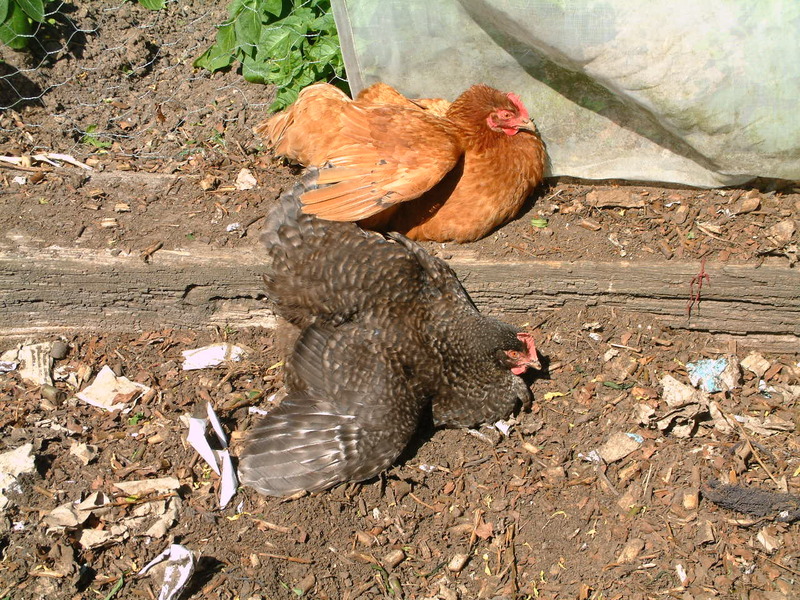 Gytha is recuperating in the sunshine… although she hasn’t started laying again, she’s bright and perky and enjoying sunbathing. The wood for burning is seasoning well and drying nice and quickly with the wind… Mr Snail-of-happiness was hopeful that he would be able to light the Kelly Kettle by directing the sun through my hand lens onto the kindling, to minimise the resources used when boiling the water. Sadly this didn’t work, but it was worth a try and we’ll have another go on a less windy day. And, of course, we feel bright and cheerful on these lovely sunny days and get to drink our tea in the garden… so, let’s count our blessings not complain about the weather!